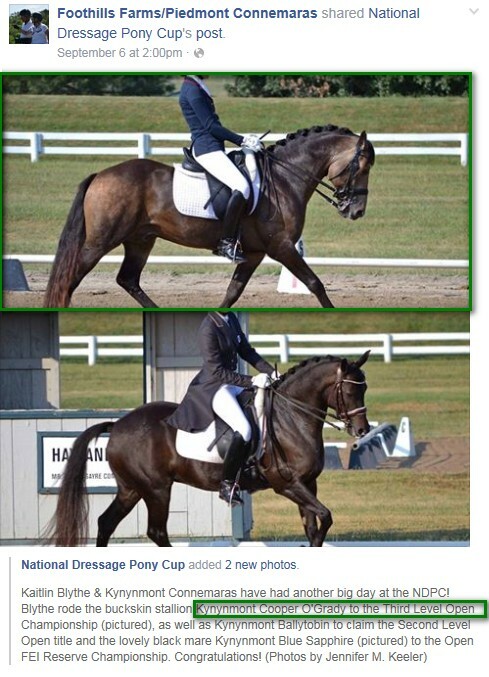 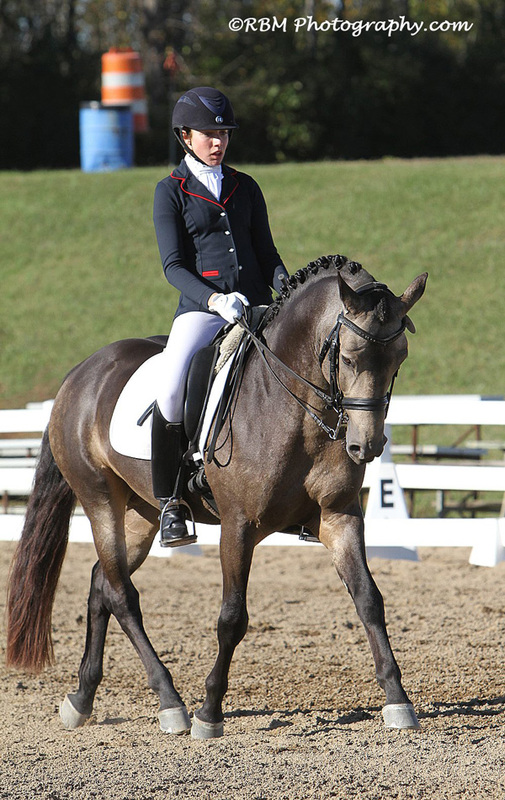 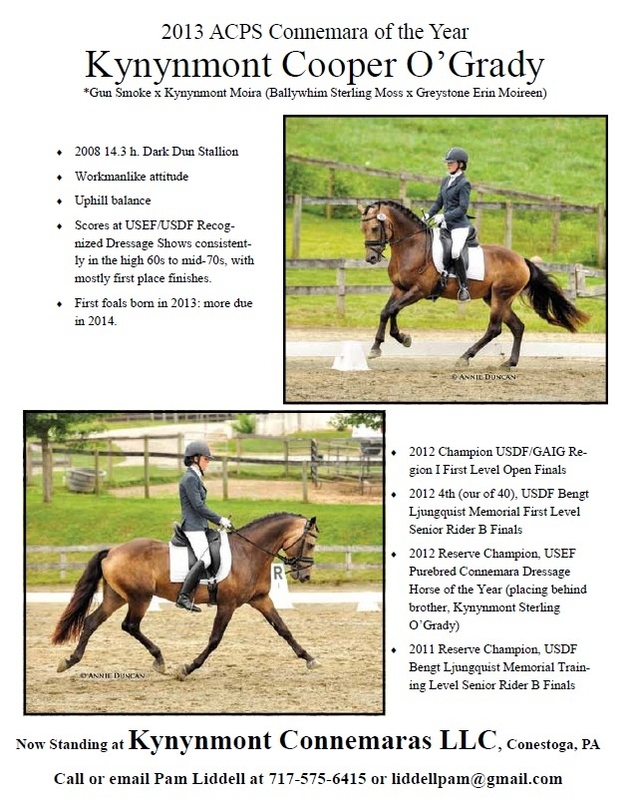 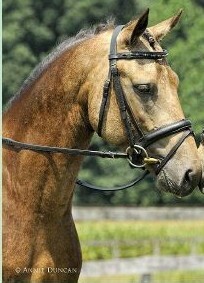 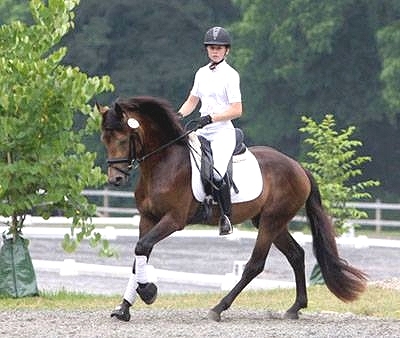 At the beginning of September, with Kaitlin Blythe in the saddle, Cooper won the National Dressage Pony Cup Finals 3rd-Level Open Championship. 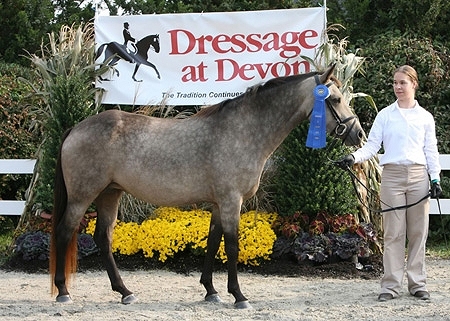 The Reserve Champion Overall High Score award was earned by Kynynmont Cooper OGrady (Cooper) (*Gun Smoke X Kynynmont Moira), with a score of 76.486% at First Level, Test 2. 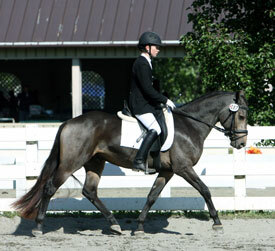 Pam and Grady are trying hard to move up to Second Level to escape the competition of the other Kynynmont ponies. 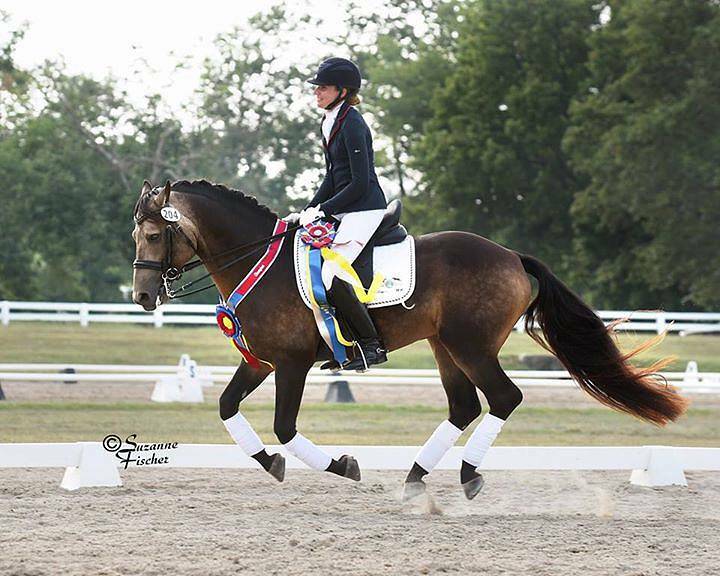 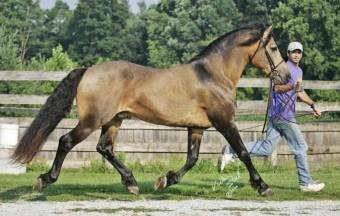 Pam was adult amateur high score winner at Blue Goose, and Adult Amateur Challenge First Level Champion on Grady at the ESDCTA Memorial Day Weekend Dressage show.